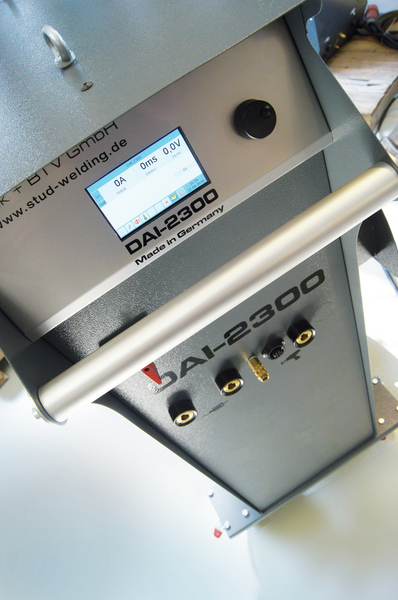 Our drawn arc stud welding machines are equipped with the latest microprocessor technology and very high effective power units. 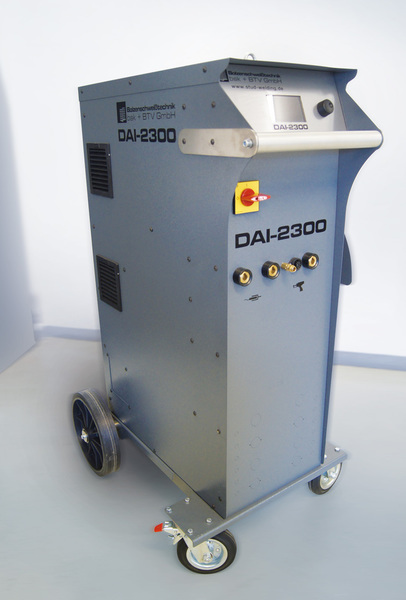 Our primary switched welding inverters DAI allows even the most complex welding task solved by welding diameter 25 mm reliably. 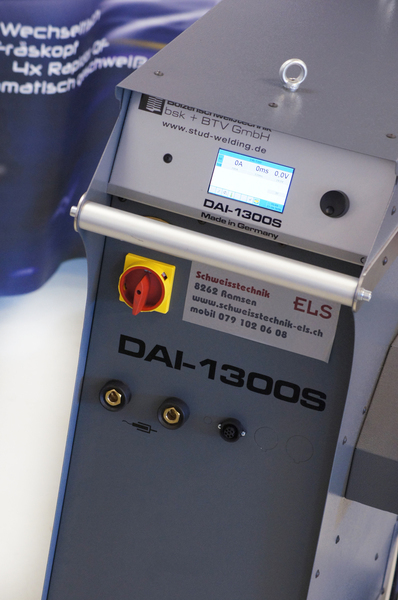 Process control, digital position measuring system and the modular extension eg. 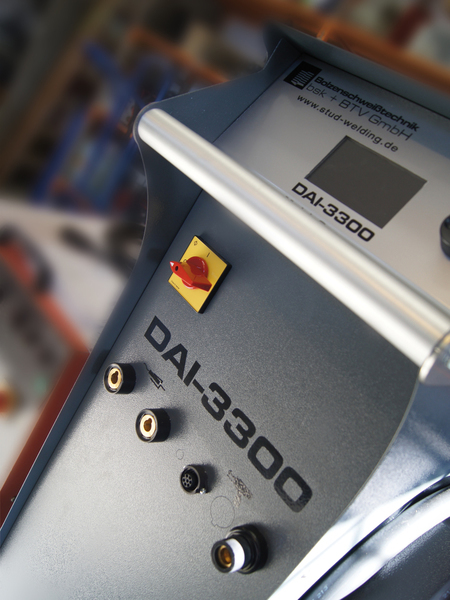 the so-called “multi-switch technology” increase the process reliability, flexibility and application possibilities. Particularly with regard to process and lead times ensure pioneering technologies to the user, especially in mobile construction sites or fully automatic operation. 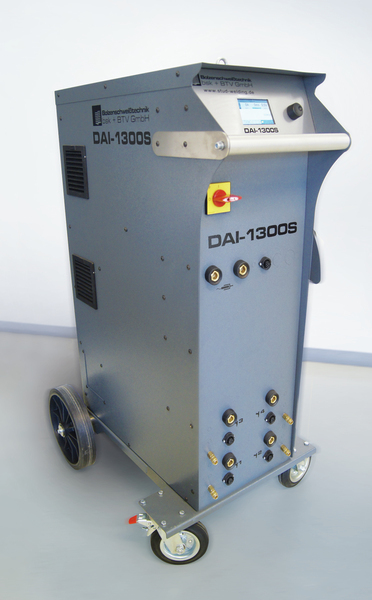 The DAI-1300 in this case forms the compact base unit; the inverter classes DAI-2300 and DAI-3300 also prove themselves by their robust design; the sophisticated cooling concept in the diameter ranges up to 22 mm and 25 mm guarantee high duty cycles and high reproducibility of the welding results. 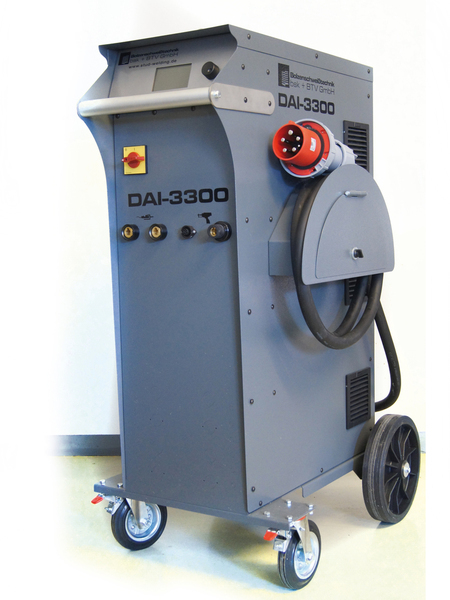 In the compact class is the unregulated DA-800M of proven DA-800 now available as a successor with a generous 4-inch display and even better comfort controls. 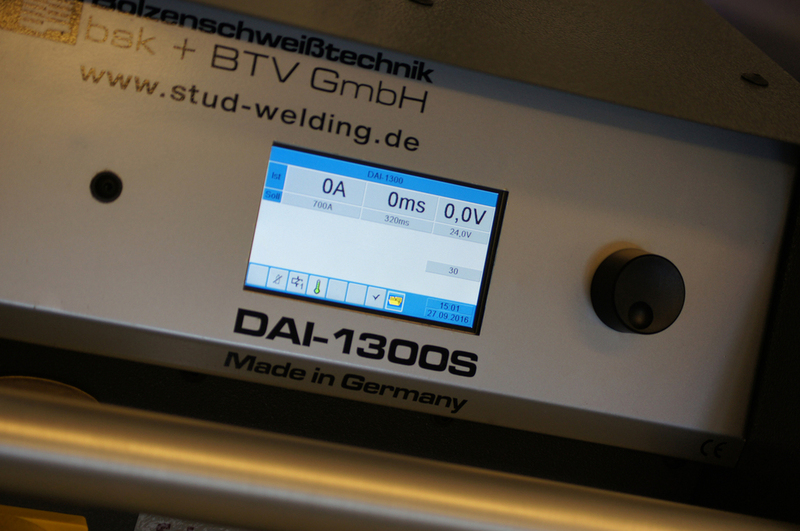 It is one of the most powerful compact devices in its class and has been designed as an entry-level unit in the drawn-arc studwelding-technology particularly to ease out.